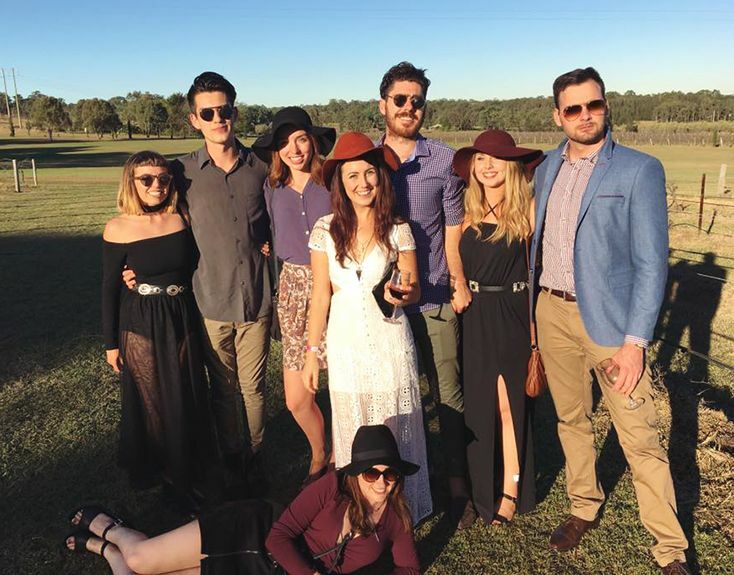 Lovedale Long Lunch is a progressive style lunch where food and wine lovers come to discover the wonders of Lovedale. Or in other words get completely plastered. The Long Lunch is like a music festival for "proper adults" where you can prove that just because you're over 50, it doesn't mean you don't want to get drunk and dance in a moshpit. About 40 minutes from my home town is a well known "wine country". The Hunter Valley. With far too many wineries and restaurants for me to count, it's the perfect location for a wine tour or a long lunch. Lovedale Long Lunch involves 7 wineries in the Lovedale area. You buy your ticket, choose three wineries to visit and grab a wine glass. You'll also get some tickets to exchange for food and cheese platters. 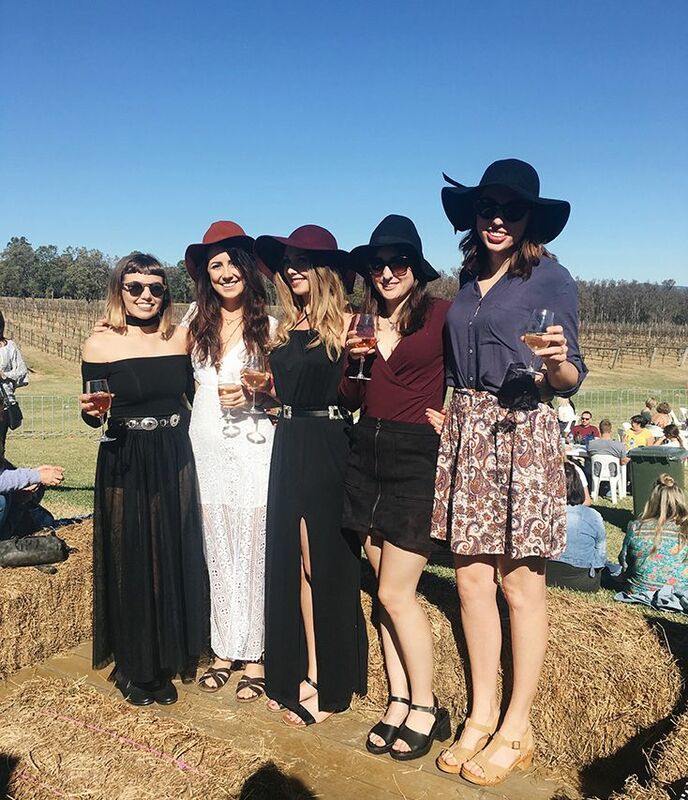 I had worked at the Long Lunch one year handing out glasses and food vouchers to people buying tickets, but I had no idea what it was like to actually attend. 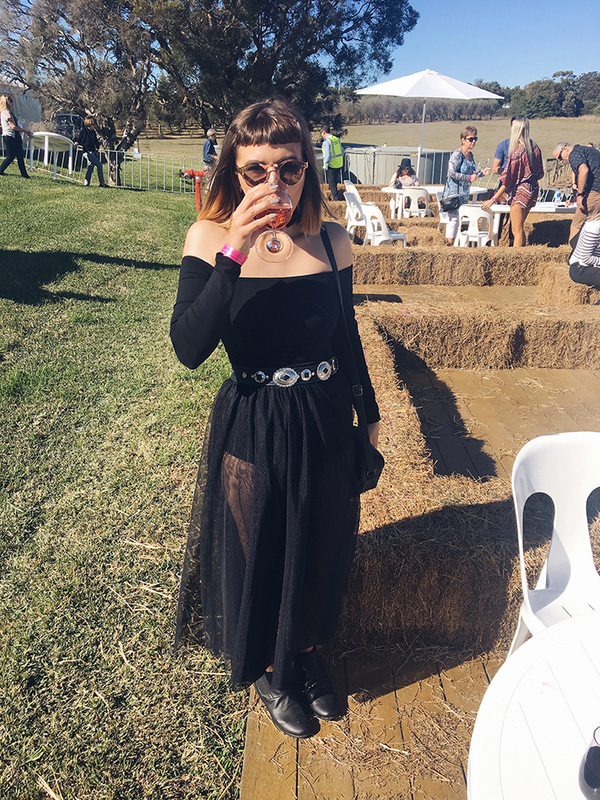 I was pretty keen to drink some good wine but it was also a great excuse to put together a rad outfit. Which I definitely jumped at the chance to! While a lot of people go with Fall colours, and florals I decided to stick to my regular outfit choices of monochromatic colours. I'm wearing a sheer high waisted maxi skirt, with built in booty shorts from ASOS. It was very long when I got it so it had to be taken up. which made the skirt a bit more expensive overall but worth it! My top I borrowed from my Mum! It's a long sleeve, off the shoulder top with a connected choker. The whole thing zips up at the back and I definitely needed assistance getting it on and off. Lastly my Concho Belt of Destiny from The Lair. The perfect addition to any outfit. I did have two tops to choose from, I picked the long sleeved one after being convinced it would be cold. It really wasn't. I got a bit sunburnt, but I wasn't too hot anyway so no regrets. For the wineries we started at Saltire, moved to Wandin and finished at Sandalyn. I'm not going to pretend to remember everything through the wine on that day. At Saltire we had a cheese platter and a bottle of Moscato. At Wandin I had the chicken for lunch and a glass of Pinot Gris. By Sandalyn I was fully done drinking and I picked at a dish of CousCous, Pumpkin & feta. Every place offered huge amounts of free bottled water except for the final winery which was odd. It cost $2 a bottle there. You also were not allowed to take water between wineries, and not have water bottles while you were in line to buy more wine. But I couldn't tell you why. I didn't know everyone in our group when we started but we all did by the end. It's fun to bond over good times and wine. 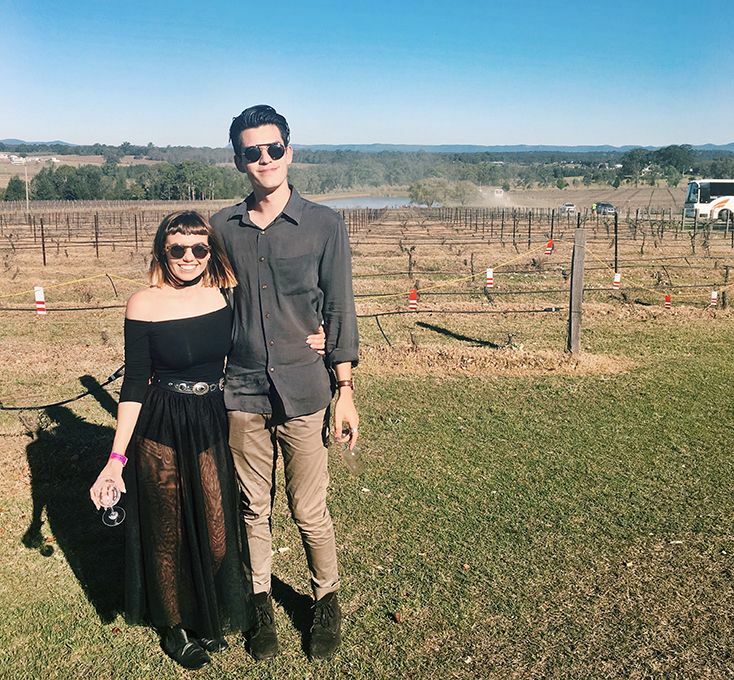 It was very busy at all of the wineries, so even if you knew people who were going on the same day as you, it was unlikely you would run into them. I napped for a large portion of the bus ride home at the end of the day. The majority of people, Josh included, continued on after the Long Lunch had ended. Instead I took some nurofen, and climbed into bed at 5pm, nursing a killer headache. Awoke at 8pm for some leftover pasta and then back into bed by 10pm. Because come on I was exhausted! What a day. I love you, ya big dork! I had a really nice day. Would I do it again? Probably not, it was an expensive day out overall. But a fun one time experience. I'm really just not that much of a drinker as you could probably tell from the 5pm bedtime. But I would definitely recommend as a fun event! 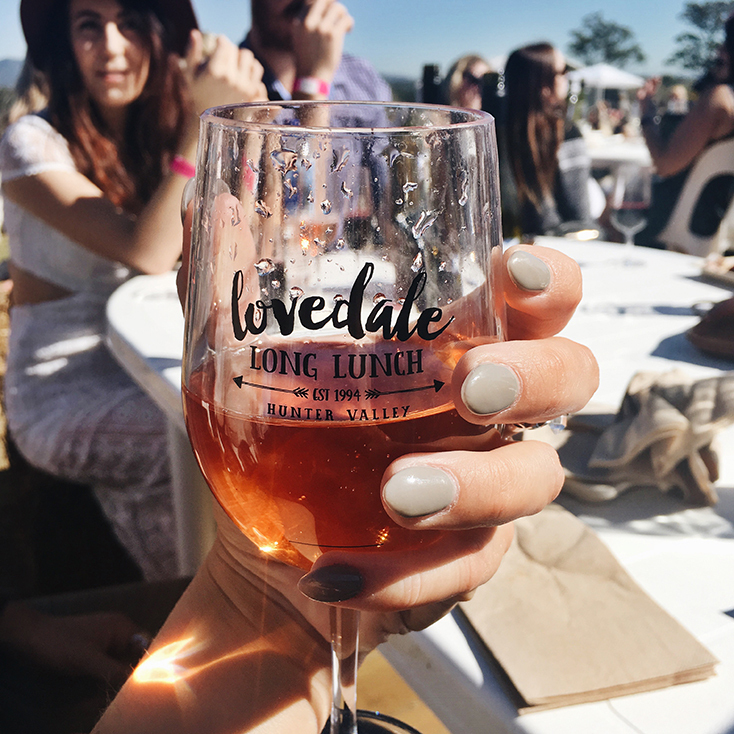 Have you ever been to Lovedale Long Lunch? Is there anything similar to this around where you live? this looks so much fun! :D and what a cute outfit you chose for the day! I'm so in love with your outfit! That sounds like heaps of fun! 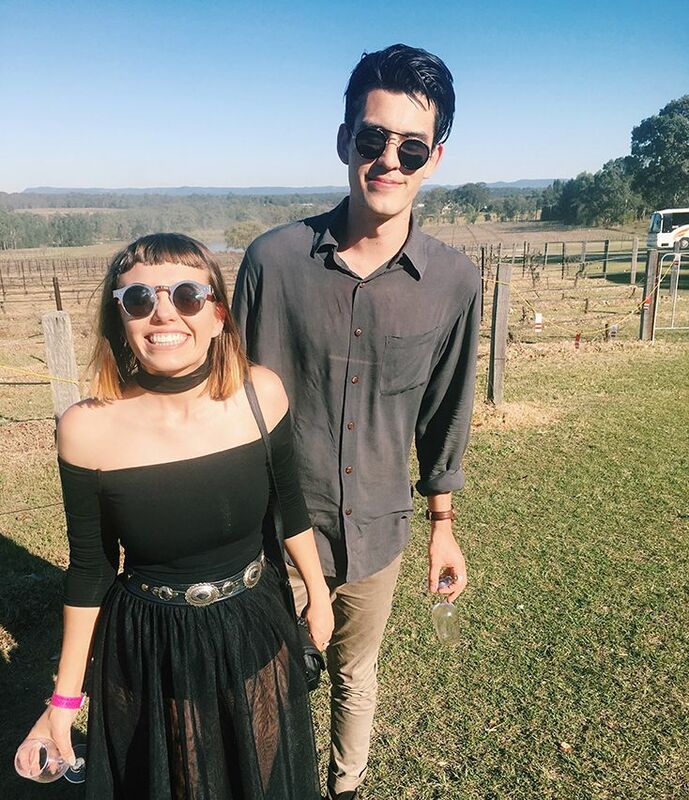 When I went wine tasting in the Hunter Valley a while ago I slept the whole way back so I know how you feel haha.